Yes, you’ve just found a B2B copywriter who’s a wiz at creating interesting, helpful, and unique content that grows traffic and leads. We know how to generate traffic, leads, and sales through audience-focused web content, blog posts, email campaigns, case studies, and much more, following B2B SEO and marketing best practices. When TriStar Vet needed to improve its Google rankings and bring in more leads online, we helped them with Certified SEO Copywriting to optimize their website and created a monthly blogging plan focused around top keyword opportunities in the category of “veterinary equipment and supplies.” The result? Better rankings for a number of different types of equipment, and immediate inquiries following each blog post. 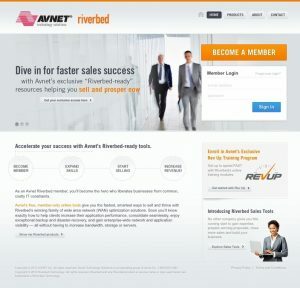 When an Arizona B2B ad agency needed to create a cloud sales “micro site” that helps sales reps succeed, they called on us to write a sequence of emails along with the micro site content, with the goal of motivating sales reps to sign on and get trained. It worked so well, the campaign is still running after three years. And, the agency has hired us again and again for our unique skills of SEO copywriting and persuasive online copywriting, helping a wide variety of B2B companies with specific campaigns. When a local small-business accountant needed to compete against the “big guys” in town, we created an optimized website written with a friendly, personal-touch approach that’s lacking on most corporate accounting firm sites. They’re seen steady growth as a result. You can expect similar results when we help you with online and offline B2B copywriting. Count on us to successfully market your products and services through online and offline approaches — as we have for dozens of B2B companies. See our web content and direct-response samples to see the results of my work. Convert more of your B2B website visitors into paying customers because we blend 1) ethical SEO (search engine optimization) to drive traffic to your site, with 2) clear, persuasive messages focused on solving your visitors’ needs while weaving in top keywords. Very few freelance business writers understand this 1-2 approach to web success. Take comfort in my systematic approach. We may be the only B2B web content provider with a proven system for web content that works. The C-Clear Marketing Method for Web Site Optimization provides 5 easy steps you can take to improve your B2B website and content marketing results. If you’re not sure why your website isn’t working the way you want, why not start with a B2B Website Content Audit, where you’ll discover opportunities to drive more eager buyers to your site through search engines? Through our site-wide review, we’ll examine your web page text and use of SEO keywords, pinpoint areas to boost results, and recommend a content strategy to lift your traffic and conversion rates. You’ll be in good company with these B2B manufacturers and industrial businesses who chose ContentClear Marketing. Veterinary B2B companies — several! See our veterinary industry page. Contact us if you’re ready to work with a B2B web content provider with a solid business communications background. Thank you for stopping by!